In order to support growing demand for retail bank pricing and profitability software, Nomis Solutions has announced the appointment of Verity Lavender. As a business consultant with over a decade of industry experience and specialisation in pricing and profitability growth, Verity will add substantial value to the delivery of Nomis solutions in EMEA. With 13 years of business experience, Verity has held a number of client-focused and cross-functional project design and delivery roles across the EMEA region both in financial services and in retail information services. 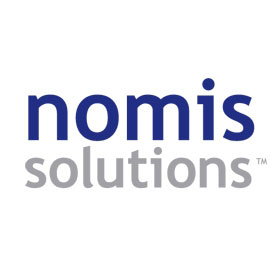 Her experience in South Africa, Spain, Norway, Denmark, and Italy will be a significant asset to a widening base of retail bank customers that are using Nomis software. Nomis is a fast-growth company that combines cutting-edge Silicon Valley approaches to big data, advanced modelling, and deep analytics to help large and medium-sized retail banks better understand their customers. We help these banks deliver win-win products and pricing in an environment that is increasingly competitive, highly disruptive, and with an expectation of rising interest rates. In 2014, Nomis customers optimised over $1 trillion in banking transactions and since inception, Nomis customers have generated over $1 billion in incremental profits.